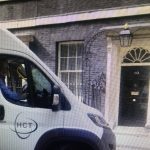 The Minibus Hire Service operates a fleet of minibuses, most of which are wheelchair accessible, that can be hired at affordable rates by community, educational, religious and ethnic groups of every kind based in the London Borough of Hounslow and surrounding areas. Organisations need to become a Member to hire minibuses and the process for doing this is very straight forward. The Minibus Hire Service can provide fully accessible minibuses transport to meet all the requirements of people with a wide range of disabilities. The Charity was established 30 years ago to provide wheelchair accessible transport to residents of the London Borough of Hounslow and surrounding boroughs. Over that period of time, HCT has acquired unique and specialised expertise in this crucial and sensitive area of transport. Fully qualified and experienced drivers can be provided, if necessary, to organisations needing to hire a minibus that cannot themselves provide a driver.